Did you know early Valentine’s Day gifts were given to children to ward off sickness? How far we’ve come! Once a day dedicated to love and family in honor of St. Valentine, the popular holiday has evolved into a display of love and romance with flowers, gifts, romantic dinners, and even an “anti-Valentine” movement of self-celebration. 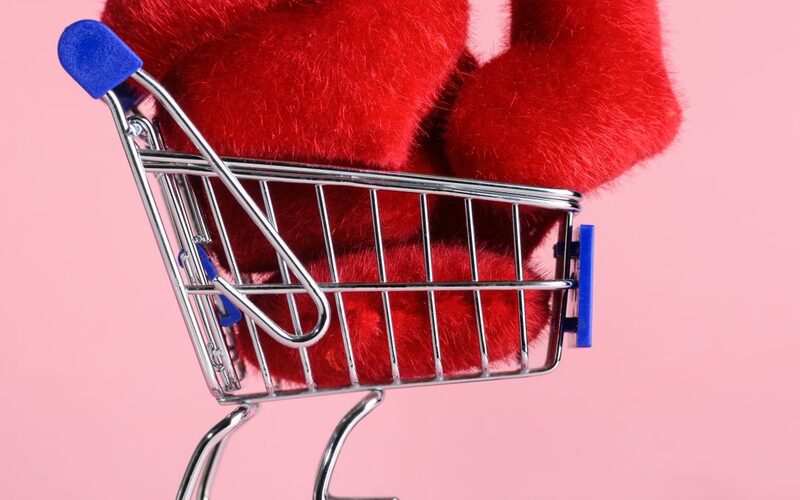 Which makes it tough to ignore: Valentine’s Day is a top retail holiday. It contributed about $19.6 billion to the economy in 2018, with more than half (55%) of the population getting involved, with each person spending about $143.56 (National Retail Federation). Hello shoppers! These lovers are not only looking for gifts, they are looking for inspiration: whether it be through a trusted brand or media source for direction. Which brings us to the value of high-quality content. Shoppers are savvy and eager for information before making a purchase. Just as shoppers in the pre-internet era might turn to a trusted stylist in a department store or a discerning friend with inside scoop, shoppers now turn to blog posts, niche media outlets, and brand lookbooks for advice and guidance. When consumers read an educational article, they are 131% more inclined to buy from that company (Conductor via Forbes). Even as shopping becomes increasingly isolated to screens, consumers still crave a human-to-human like personalization or recommendation. Creating high-quality content, like blog posts, videos, articles, and other visual showcases offer a personal touch and a perception of expertise; a thought leader will always cut through the noise. Make your Native ads a preview of what’s to come – what are you offering? Top 5 Gift Ideas for Your Picky Boyfriend? The Comfiest Pajamas for Staying In? Deliver insight and knowledge and stay true to your brand. And don’t forget to appeal to last minute shoppers this Valentine’s Day! Last year, 1800Flowers.com saw a 30% jump in desktop conversions on February 13th compared to just a week before (Digital Commerce 360). With high quality content, expert creative copy, and targeted placements, Valentine’s Day might be your new love affair. Check out our Valentine’s Day Infographic for even more stats to put you ahead.